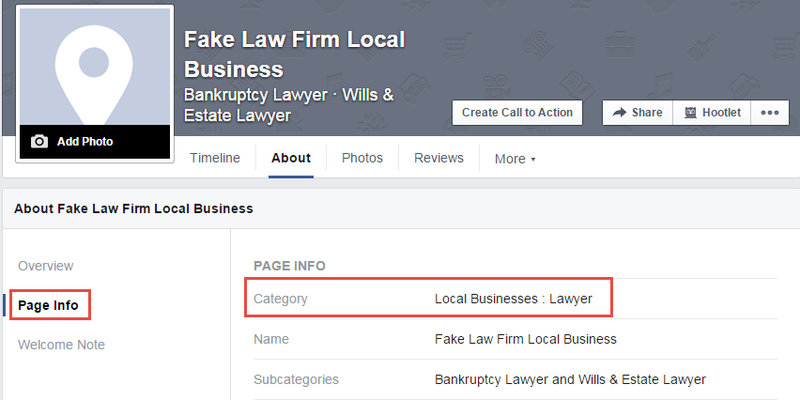 Selecting “Local Business” as your page type allows you to have a map and contact information displayed. 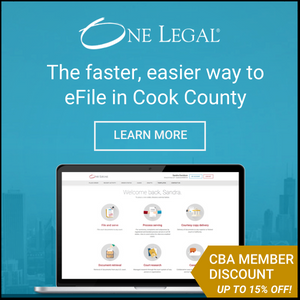 It also allows you to enter your practice areas as subcategories and displays them prominently over your cover photo. 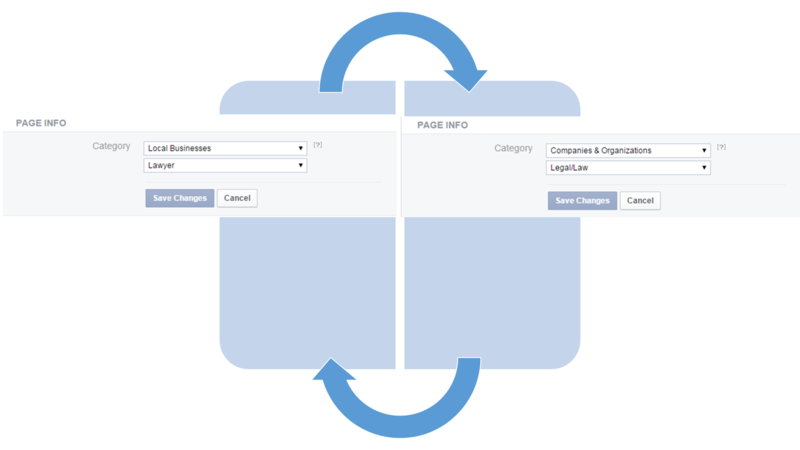 These features are not available if you choose “Companies & Organizations”. The “Local Business” option also creates a Ratings and Reviews section, meaning that anyone can leave a review or give you star ratings. 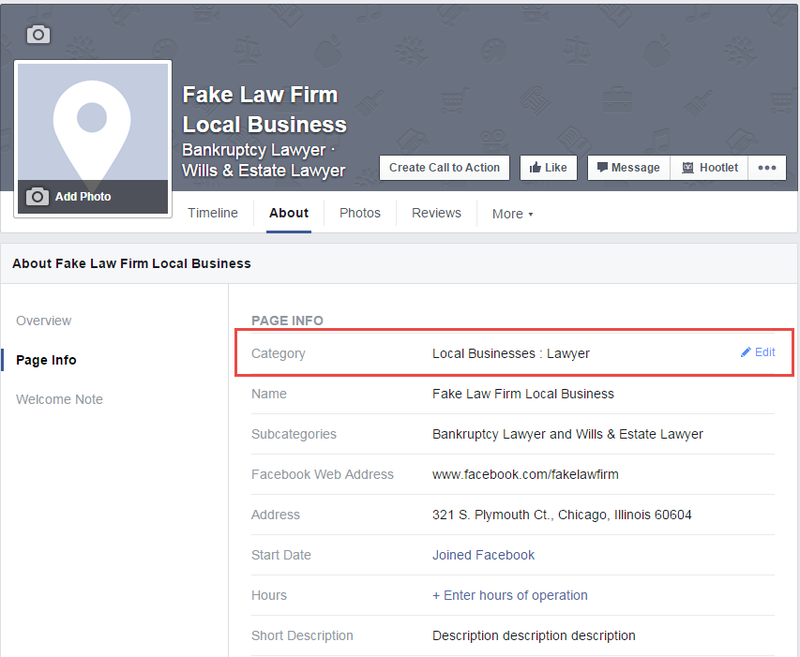 You may want to have this feature if you’re practicing consumer law since good reviews on Facebook mean more clients. If you’d rather not let clients be able to leave reviews, switch the category to Companies & Organizations. You can change your page type category as often as you’d like. To do so go to your page and click the “About” section. Mouse over next to “Category” so the blue “Edit” pencil appears. Click “Edit” and then change your category from the dropdown menu. In this example my page is currently a Local Business, and I want to change it to a Company & Organization. When you’re finished, click “Save Changes” and your new page features will take effect.